This is apart of our GLOW night. We put on a special night for all our middle school students that was full of glow in the dark everything. We replaced all the florescent bulbs in our building with black lights. We had glow stick straws to serve with our Italian sodas, glow in the dark face paint with a make-up station, free glow sticks and some incredible games. This was a huge success for us and hope you can translate some of what we did for your context! Enjoy these! 2. 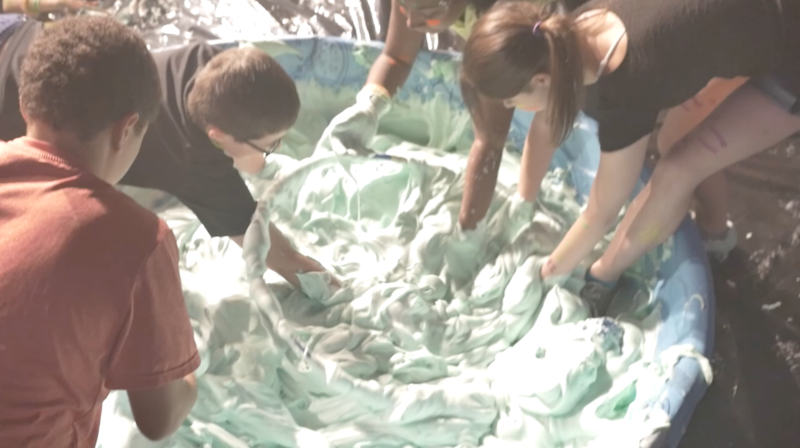 Lots of Shaving Cream. You will use about 15-20 cans to fill up the kiddie pool. 4. Random Objects. 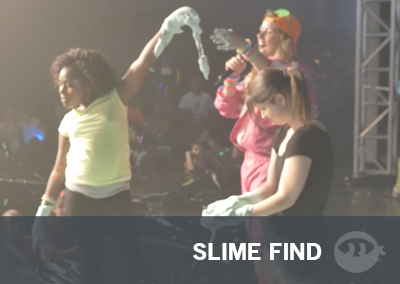 Anything you can think of that you would want students to look for in the slime. Some examples would be a barbie doll, ping pong ball, hoola hoop, roll of tape, ect. You will want to leave the set up for as close to your event as possible. Because its shaving cream it is going to settle the more time it sits out. Take your kiddie pool and empty all the shaving cream cans inside the pool. 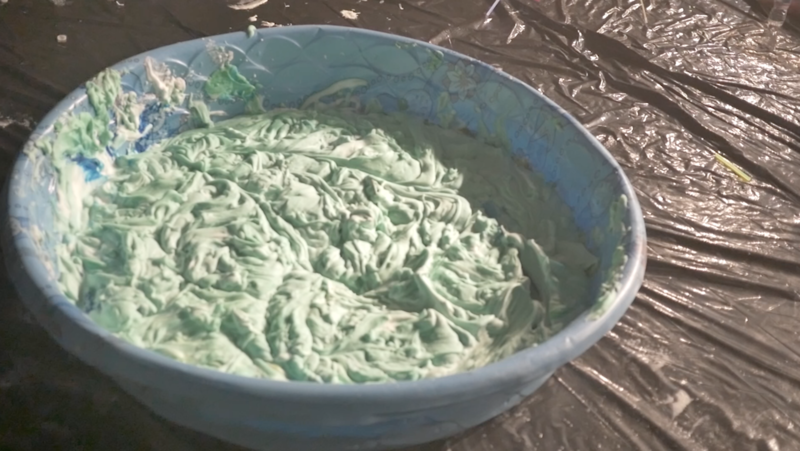 Add your food coloring and mix. We used the back of a broom stick in order to get a nice even color. Once you have a nice color mix in all of your random objects and your all set! Line 4 contestants equal distant away the pool. Count them down and let them go find it. When someone finds what you asked for they must raise the item up for everyone to see. 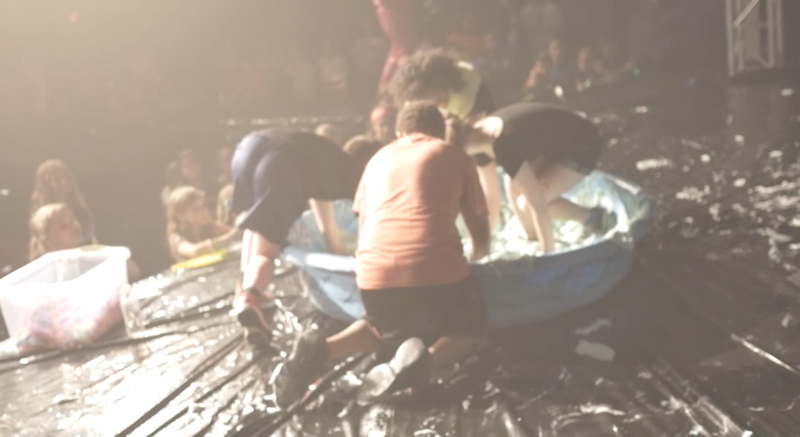 NOTE: This is messy game so make sure you make your environment ready for a mess but also let the contestants know that they will also get messy. You can play multiple rounds with different students and then have an ultimate round that all the winners face each other! Enjoy this one. It’s a lot of fun! More a question than a comment; where do you find your game music at?! I’d love to use your music in our games!